Autumn is here and I can't wait to dig everything that is autumn orientated - I'm talking the berry/plum lipsticks, cosy jumpers and not to forget to mention those autumn shades for our nails - they can't be forgotten about can they? 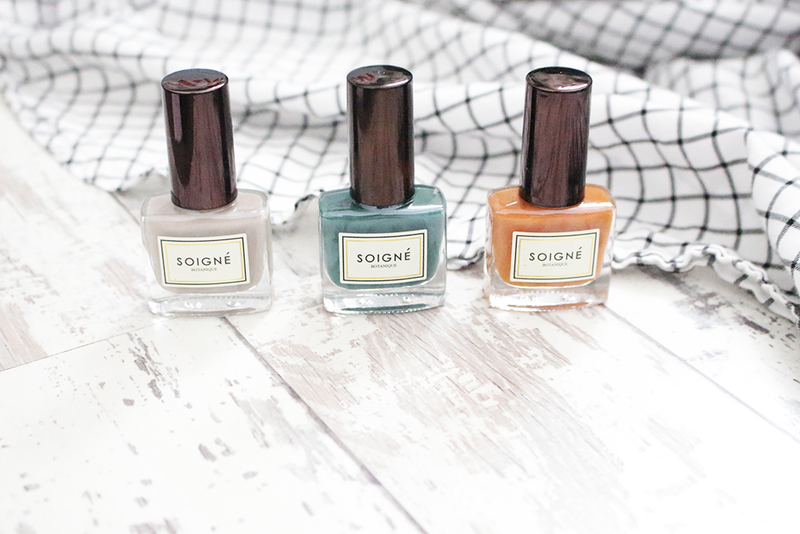 I have been lucky enough to receive SOIGNÉ Botanique and their new seasonal collection - Faded ready for fall! If you haven't heard about this brand you can view their website and all of their other beautiful shades here. What makes SOIGNÉ Botanique even better? Well for starters they don't test on animals, vegan friendly, there is no harmful carcinogens and finally up to 85% of these polishes are plant-sourced, natural ingredients! 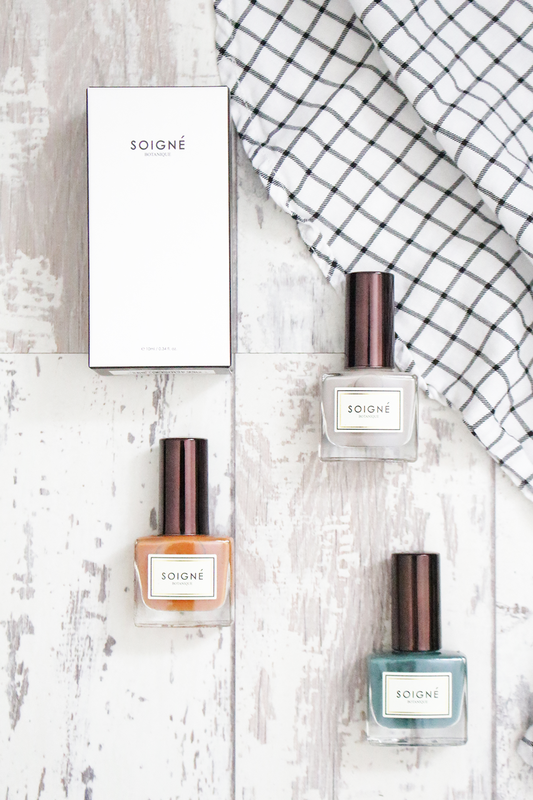 So how perfect are these polishes? We haven't even started on how pretty the shades depict the ending of summer transitioning into fall - I look at this polishes and definitely see this is portrayed. 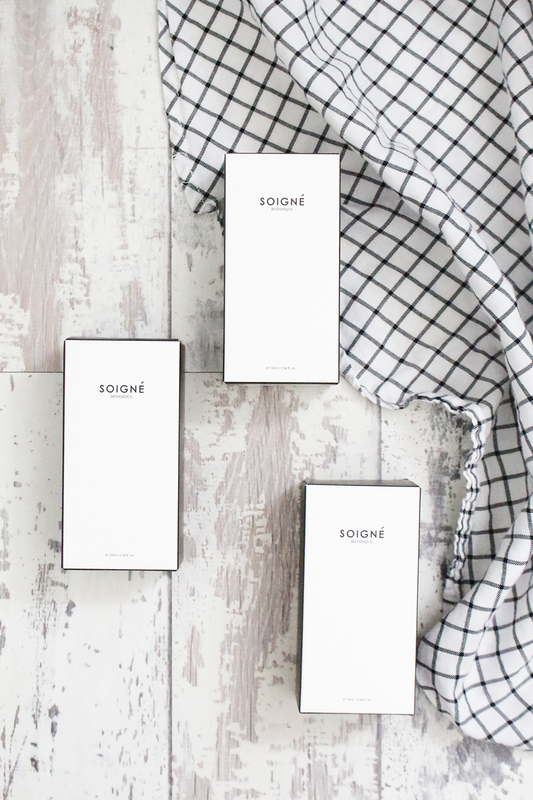 Upon receiving this collection, I couldn't praise how simple and chic the packaging is. These just look so lovely on my desk alone. Inside the little box the polish is encased delicately which is great from preventing it from breakage. Mica is a classic muted grey that compliments those darker and daring pieces you have for your autumnal wardrobe. Poussière d'ortie which means Nettle Dust which I just think is so fragile and beautiful to call a nail polish. The shade is a very dark green which represents the ending time of the green leaves of summer. Ombre Solarie meaning Solar Shadow which is such a unique orange. This depicts the beginnings of the crisp leaves and early sunsets in welcome for cold evenings. So again, how beautiful are these shades? In regards to the wear these last an amazing length of time! I have tried out all shades and currently have Mica on my nails now and I have been going about all my chores since Friday and no sign of chipping yet! This collection is available from the 30th of September - so be sure to keep a look out as these are a statement for this season.